In this blog I want to highlight the use of Test.createStub with Force DI, to effectively inject mock implementations of dependent classes. We will go through a small example showing a top-level class with two dependencies. In order to test that class in isolation as part of a true unit test, we will mock its dependencies and then inject the mocks. This blog will also show how Force DI adds value by extracting and encapsulating configuration code from the app. 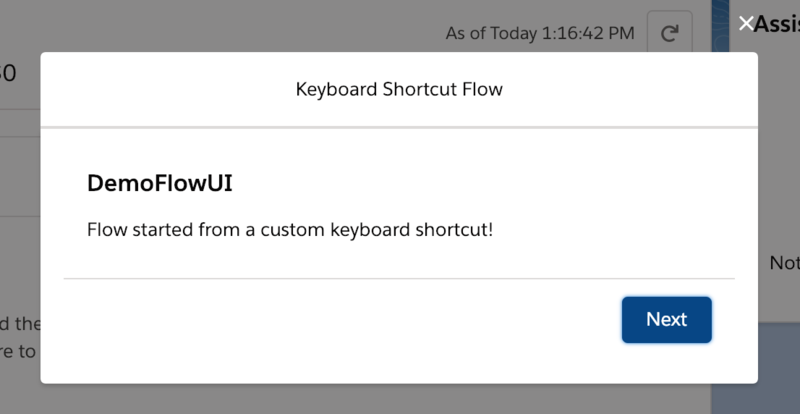 The greeting message for the app should be determined by an out of office setting combined with a configurable initial message. The developers decide to split the concerns of fulfilling this requirement into two classes. An instance of the Display class will handle the system part of the message and an instance of the Message class will be used to obtain the rest. Object orientated programming principles (OOP) have been used to create an interface for Display and base class for Message. The implementations of these are not of huge interest here so are not shown. The following first shows how the ChatApp looks without Dependency Injection. It only directly tests the ChatApp.greetings method but not any of its dependencies. To set up the test the developers needed to decide on the configuration approach (custom setting). Additionally, implementations of Display and Message had to be coded as well (not shown). The developers had to do quite a bit of work to get to the point where they could write the first test. Now also imagine that the Display class has further dependencies and setup requirements, that would add to the test setup code. It is also not very supportive of Test Driven Development since ChatApp required other dependencies to be implemented for the test to run. Technically it resembles an Integration Test, more than a unit test. The following shows how the ChatApp looks with Dependency Injection. It only tests the ChatApp.greetings method code and nothing else. Decisions relating to how the configuration would work where not needed. Display and Message implementations were not needed. As soon as the greetings method was coded a test could be written. By using the Force DI di_Injector.Org.Bindings.set method and Test.createStub (read more here) method mock implementations are injected in place of concrete implementations (these need not even exist at this point). This avoids the need to write more code than needed in order to get to a point where a test can be written and run. The use of these two technologies brings the developer experience closer to that of Test Driven Development. As I mentioned earlier there was nothing necessarily wrong with the initial test code, its just that in terms of unit testing and TDD, its scope was too broad (it tested more than it needed to). So if we wanted to run this original test now that we have implemented DI above what else is needed? The question you are likely asking is, how do the real (non-mock) implementations of Display and Message get executed? This is where another feature of Force DI comes in. Force DI Modules can be created dynamically per the unit test code above and/or configured via the Binding custom metadata. Once the Binding custom metadata is configured, the following code runs automatically as part of the Injector.Org initialization. Other code defined bindings for DI used elsewhere throughout the app would also go here (read more). Below is the original test code we started with, only this time the ChatApp code used the Injector class to resolve its dependencies. Since in production those bindings are not overridden via Injector.Org.Bindings.set method. The Injector code uses the custom metadata based binding configuration, which invokes the module logic above. It’s worth pointing out that in wanting to include a configuration requirement in the ChatApp use case the above examples may appear overly complex for basic needs. It can also seem a bit daunting to use OOP concepts like interfaces and base classes for new developers. Well good news! It turns out you can use this approach with regular standalone classes as well. Take a look at the simpler use case below. NOTE: As mentioned in the previous blog, Force DI is based roughly on Java Guice, which also has a great worked example here. 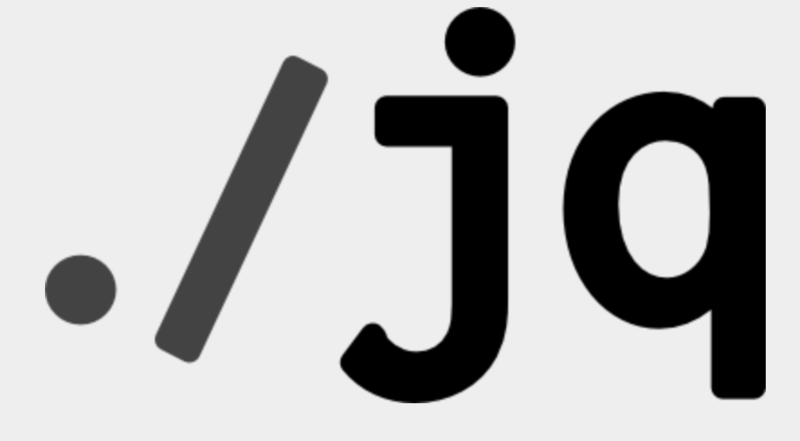 The principles explained are the same as here, however, the examples are using annotations to let the Java Guide injector automatically detect where to do the injection. In Force DI, this has to be expressed directly via Injector.Org.getInstance. Categories: Apex, ApexMocks, Custom Metadata, Design Patterns, Force.com, ForceDI, TDD, Testing | Permalink. 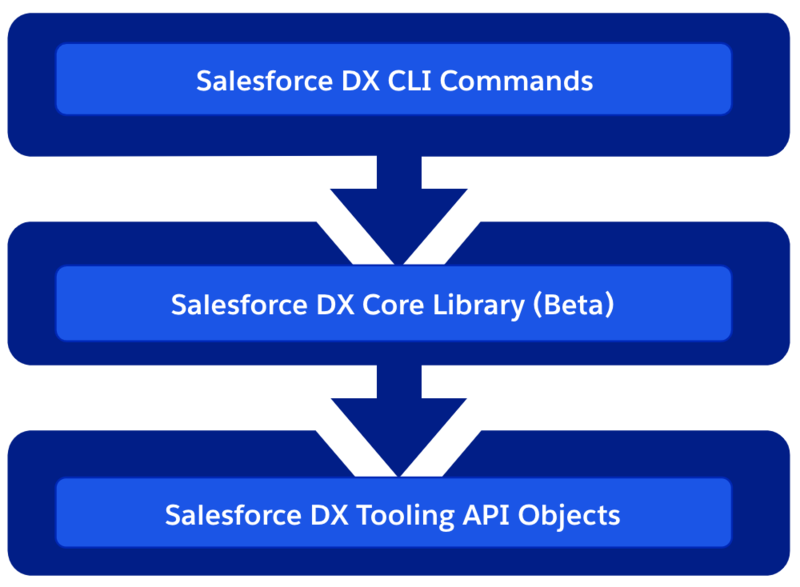 When developing within Salesforce, dependencies are formed in many ways, not just those made explicitly when writing code, but those formed by using declarative tools. Such as defining Actions and Layouts for example. This blog introduces a new open source library I have been working on called Force DI. The goal is to simplify and more importantly consolidate where and how to configure at runtime certain dependencies between Apex, Visualforce or Lightning component code. Forming dependencies at runtime instead of explicitly during development can be very advantageous. So whether you are attempting to decompose a large org into multiple DX packages or building a highly configurable solution, hopefully, you will find this library useful! So what does the DI bit stand for? How does it know which class to instantiate then? Whats happening here is the Injector class is using binding configuration (also dynamically discovered) to find out which class to actually instantiate. 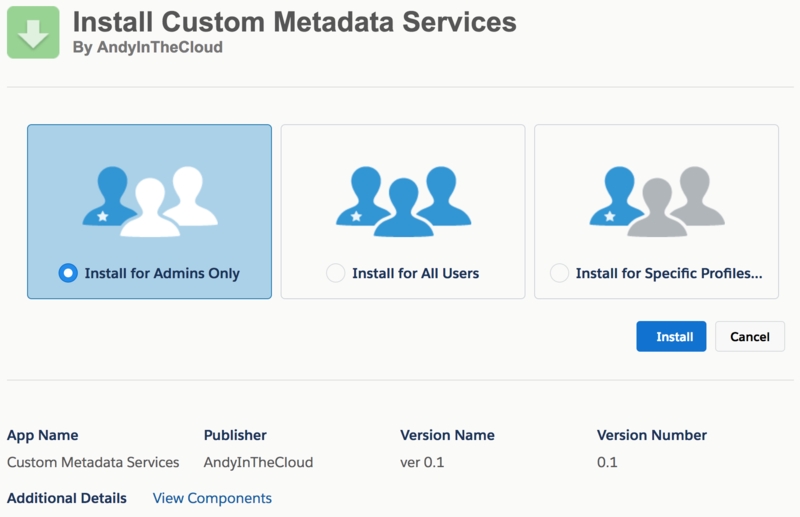 This binding configuration can be admin controlled, packaged (e.g. “PayPal Package”) and/or defined dynamically via code. Setting up binding config via code enables dynamic binding by reading other configuration (e.g. the user’s payment preference) and binding accordingly. If this all seems a bit indirect, that’s the point! Because of this indirection, you can now choose to deploy/package other payment gateway implementations independently from each other as well as be sure that everywhere your other code needs a PaymentEngine the implementation is resolved consistently. For a more advanced OOP walkthrough see the code sample here. Can this help me with other kinds of dependencies? Yes! Let’s take an example of Lightning Component used as an Action Override. 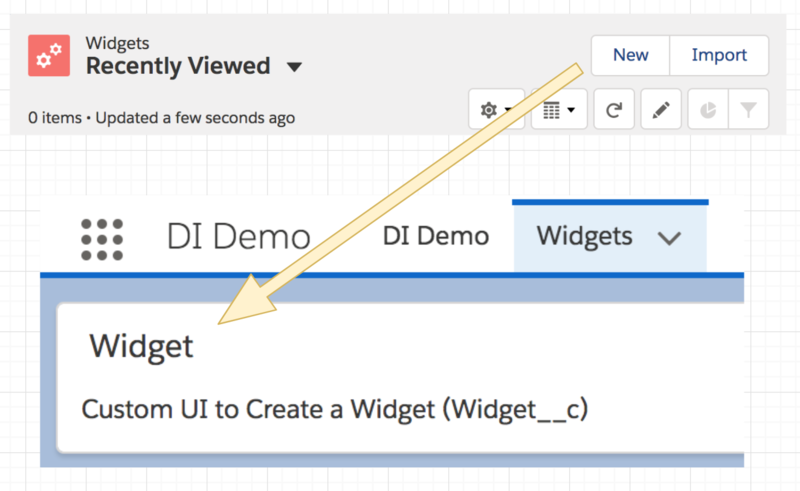 Typically you would create a Lightning Component and associate it directly with an action override. However, this means that the object metadata, action override and the Lightning code (as well as whatever is dependent on that) must travel around together. Rather than, for example, in separate DX packages. It also means that if you want to offer different variations of this action you would need to code all of that into the single component as well. Note: You have the ability to pass context through to the bound Lightning Component just as the sObjectName attribute value was passed above. 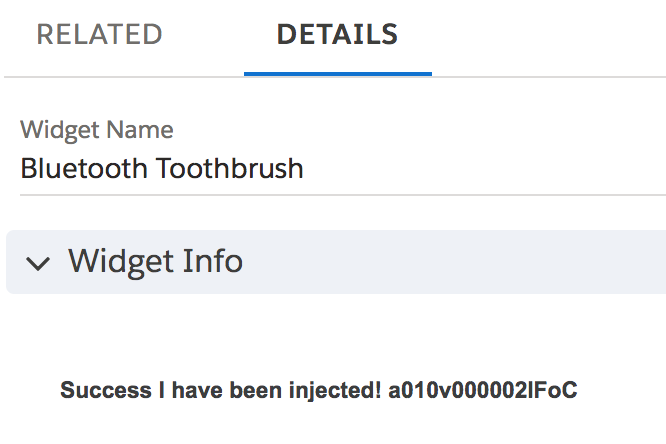 The c:injector component can be used in many other places such as Quick Actions, Lightning App Builder Pages, and Utility Bar. Check out this example page in the repo for another example. What about my Visualforce page content can I inject that? 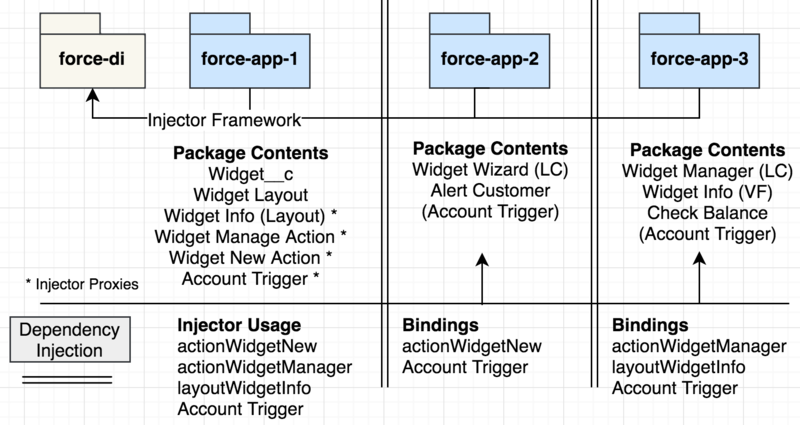 Visualforce used by Actions and in Layouts can be injected in much the same way as above, with a VF page acting as the injector proxy using the Visualforce c:injector component. We will skip showing what things looked like before DI, as things follow much the same general pattern as the Lightning Component approach. The following shows an alternative means to express binding configuration via code. The ForceApp3Module class defines the bindings for a module/package of code where the Visualforce Component that actually implements the UI is stored. Note that the binding for vf_layoutWidgetInfo points to an Apex class in the controller, not the actual VF component to inject. The Provider inner class actually creates the specific component (via Dynamic Visualforce). NOTE: The above binding configuration module class is itself injected into the org-wide Injector by a corresponding custom metadata Binding record here. You can also see in the above example other bindings being configured, see below for more on this. The examples, shown above and others are contained in the same repo as the library (for now). 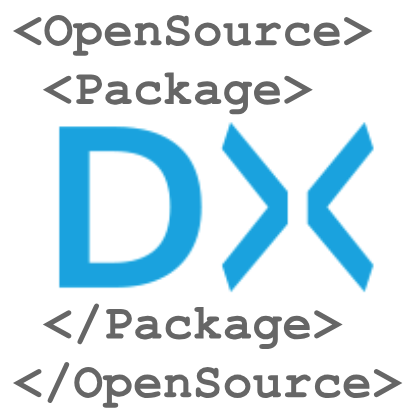 Each of the root package directories, force-app-1, force-app-2, and force-app-3 helps illustrate how the point of injection vs the runtime binding can be split across the boundaries of a DX package, thus aiding decomposition. The force-di-trigger-demo (not shown below) also contains a sample trigger handler framework using the libraries ability to resolve multiple bindings (to trigger handlers) in a given sequence, thus supporting the best practice of a single trigger per object. I must confess when I started to research Java Dependency Injection (mainly via Java Guice) I was skeptical as to how much I could get done without custom annotation and reflection support in Apex. 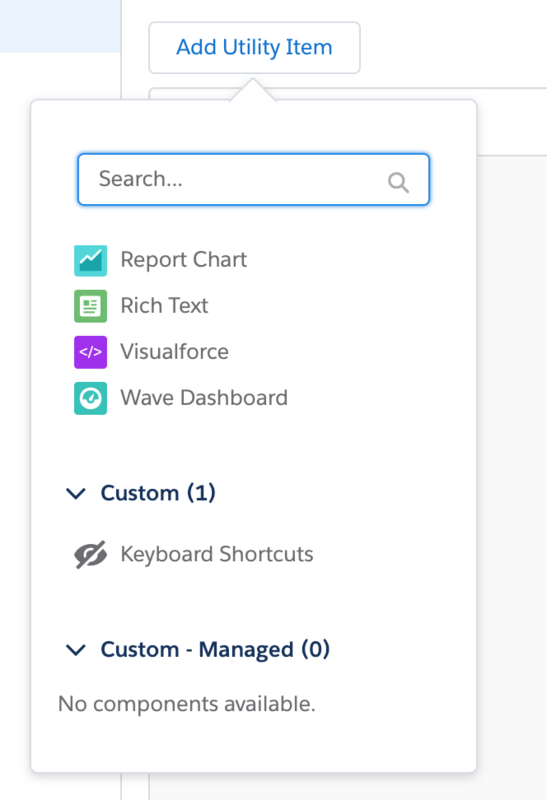 However, I am pretty pleased with the result and how it has woven in with features like Custom Metadata Types and how the Visualforce and Lightning Component injectors have turned out. A plan to write future Wiki pages on the associated GitHub repo to share more details on the Force DI API. Meanwhile here is a rundown of some of the more advanced features. Each of the three Injectors permits the passing of parameter/context information into the bound class or component. The examples above illustrate this. Binding Modules group programmatic bindings and allow you to hook programmatically into the initialization of the Injector. Modules use the Fluent style interface to express bindings very clearly. The force-app-3 package in the repo uses this approach to define the bindings shown in the VF example above. You can also take a look at a worked example here of how local (one-off) Injectors can be used and here for a more complex OO example of conditional bindings works. For Visualforce Component injections the frameworks parameter passing capabilities supports passing through the instance of the StandardController from the hosting page into the injected component, as can be seen in the example above. The examples above utilize single bindings by a unique name. However, it is becoming quite common to adapt trigger frameworks to support DI and thus allow a single trigger to dynamically reach out to one or more handlers (perhaps installed in separate DX packages). This example shows how Force DI could be used in such a scenario. This blog has hopefully wet your appetite to learn more! If so, head over to the repo and have a look through the samples in this blog and others. My next step is to wrap this up in a DX package to make it easier to get your hands on it, for now, download the repo and deploy via DX. I am also keen to explore what other aspects of Java Guice might make sense, such as the Linked Bindings feature. Meanwhile, I would love feedback on the sample code and library thus far. 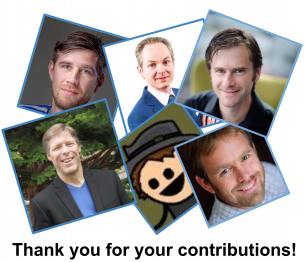 Last but not least I would like to give a shout out to John Daniel and Doug Ayers for their great feedback during the initial development of the library and this blog. Enjoy! Categories: Apex, Design Patterns, Lightning, Packaging, Visualforce | Permalink.